Welcome to the Lavender Room. Lavender is one of the few plants to thrive in Ophir due to our extremes in the temperature. 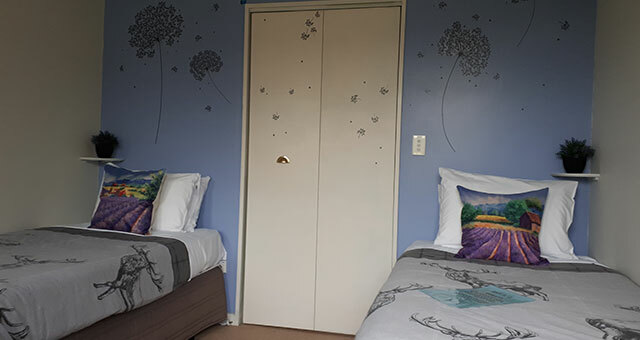 I really enjoyed making over this room, one because I love lavender and two because I found some wonderful items rummaging around OP shops that have worked beautifully with the décor. Lavender aids sleep so please feel free to pick yourself a sprig pop it under your pillow and have a great sleep and don't forget our huge range of Whiskys which also aid sleep. Night Night.